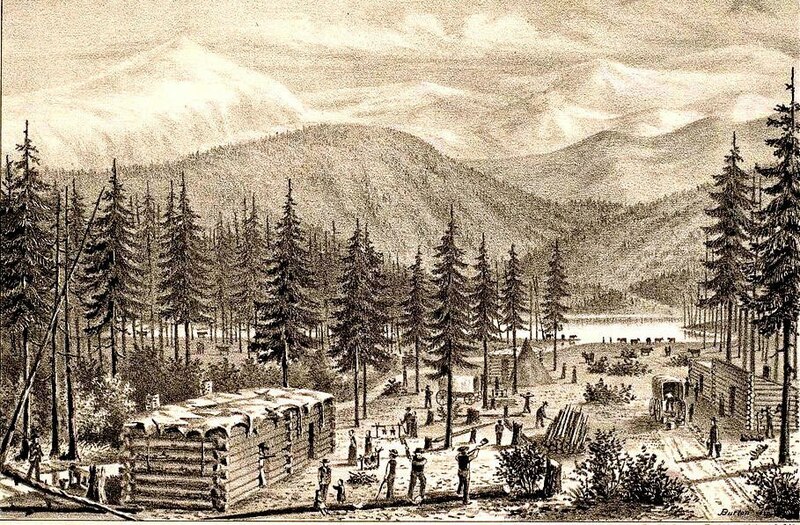 On April 16, 1846, the 87 men, women, and children known as the Donner Party set out from Sangamon County, Illinois, on their ill-fated journey to California. Already running behind schedule and facing an early winter when they reached the Sierra Nevada Mountains, the group saw its situation made worse by an enormous blizzard with snow as high as 16 feet that trapped them in place for five months. So desperate was their situation that some members resorted to cannibalism. Before the winter was over, 46 of the group had died. George and Jacob Donner, who led the group, were Rowan County natives. The Donners moved from North Carolina to Kentucky, and then to Indiana and Illinois. George was elected leader of the group, and so the party bore his name. George’s wife Tamsen Eustis was a well-educated woman from Massachusetts who also had a North Carolina connection. She was an administrator at the Elizabeth City Academy before moving to Illinois and meeting George. Unfortunately, George, Tamsen, and Jacob Donner all perished in the cruel winter of 1846-47. When rescuers did come, Tamsen refused to leave her husband, who was dying from an infected wound. Tamsen’s three daughters and two stepdaughters were all rescued and survived.